HDI and Niger start community based program to prevent maternal death and obstetric fistula | HDI: Health & Development International, Inc.
Is $1.38 too much to spend to save the lives of women and protect girls as young as 13 from the indignities, suffering, and permanently guaranteed poverty that obstetric fistula ensures? HDI and Niger are starting a community-based program this year to rapidly prevent maternal death and new cases of obstetric fistula. This pilot program aims to protect all of the girls and women who are 12-49 years of age, more than 22% of the 89,500 population, from death and from the permanently worsened poverty, and permanent indignity that comes from obstetric fistula in survivors of obstructed childbirth. 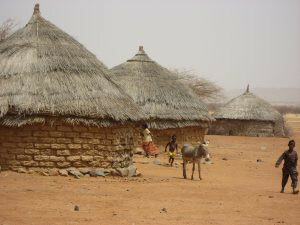 Planning completed in September, HDI and Niger plan to launch the program in late November 2007 in the sub-district of Bankilare, a multiethnic, rural, poor area almost completely without roads, that produces some of the biggest numbers of obstetric fistula cases in the country. The aim is to reduce the number of women dying in obstructed childbirth (“obstructed labor”) at least 40% by the end of Year 1 and by at least 75% by the end of Year 2, while reducing new fistula cases by at least 20% the first year and at least 50% by the end of Year 2, and to see continuing improvement after that. Further, the aim is to expand the program to other parts of Niger and other countries as rapidly as the results justify, to protect the 3,129,000 women and girls in Niger between 12 and 49 who risk dying in childbirth in a country where child marriage is common. HDI is honored to have received grants of $4,500 from the Roth Family Foundation and $25,000 from the Conrad N. Hilton Foundation for obstetric fistula prevention (on top of a $10,000 grant from the Hilton Foundation in 2006). Also, based on the exceptional progress made in planning the pilot program in Niger, the Hilton Foundation agreed to let HDI re-allocate most of this year’s grant so as to get activities going on the ground, in the villages THIS YEAR! 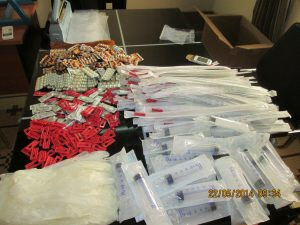 An additional $36, 900 is needed for start-up costs during the 4th quarter of 2007 and 1st quarter 2008. Running costs through December 2008 are an additional $87 400. What needs to be raised for 2007-2008 amounts to $1.38 per girl and woman protected. 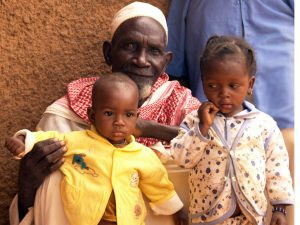 Grandfather with children in Niger 2009. The children’s mom bled to death when they were born.